With the recent arrest of 16 Antifa members in Philadelphia where they showed up to protest a Blue Lives Matter rally, after clashing with police and chanting about killing officers, we note a couple of other disturbing bits of Antifa news that the liberal establishment media seems to determine to either ignore or downplay. First let's start with an update to the August 4, 2018 rally and Antifa counter-protest in Portland, Oregon, because this is an example of how Antifa calls themselves "anti-fascists," but uses fascist tactics, even against their own supporters. In our August 4th updates, via the comment section, we posted a very short clip showing Antifa members trying to take an American flag from a man, with one Antifa thug hitting the man with what appeared to be a club of some sort, then nailing him in the head, which is where that particular video ended. 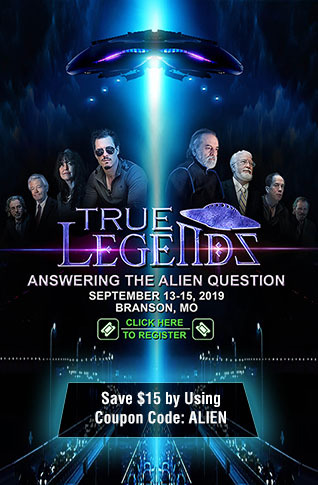 The video below is a slightly longer clip, showing that the man that got hit in the head ended up falling to the ground, curled up and holding his head. The man's name was Paul Welch and he was not part of the Patriot Prayer rally, nor a Proud Boy, nor a conservative. In fact, according to Mr. Welch, he is a "slightly progressive leftist," who is a registered Democrat, voted for Bernie Sanders in the Democratic primaries and Hillary Clinton in the general presidential election. Mr. Welch attended the Women's March the week of President Trump's inauguration, and supported Antifa's Occupy Ice fiasco by stopping by on his days off to bring them water, toilet paper and sunblock, according to Oregon Live. While Welch was not at the Portland rally/counter-protest with any specific group, he was there to oppose the "right wing" rally, just as the Antifa groups he supports were. His crime.... he was carrying an American flag, to which Antifa called "a fascist symbol," before demanding he give it up. When he refused they attempted to take it from him, and when he wouldn't relinquish it, they clubbed him. "The right and certainly a lot of smaller groups like Patriot Prayer might rush to things like the flag and try to take it up as, 'This is our symbol exclusively,'" Welch said. "Part of my thinking was to take it back." As blood began to pool around Welch's head, a group of volunteer street medics rushed to his aid, he said. Another medic eventually got Welch into a car and drove to an urgent care clinic on North Interstate Avenue. It took four staples to close the 3-inch gash in the back of his head, Welch said. He spent the next two days recovering from a concussion, though he was able to return to work. 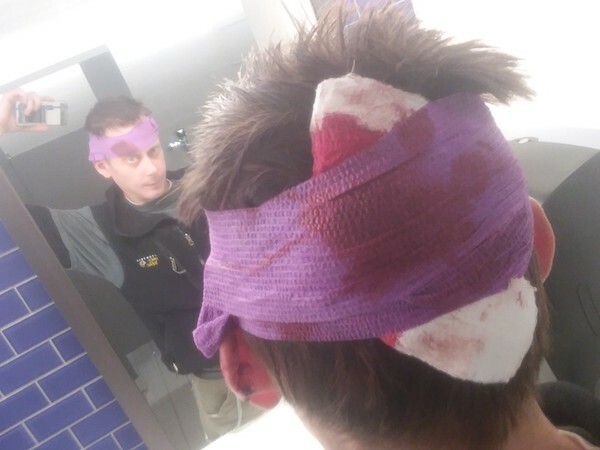 He also provided a picture taken after the attack on him where a bloody gauze pad can be seen under a purple head wrap, showing a significant injury. An Antifa group in L.A. called Serve the People -- Los Angeles (STPLA) protested recently in South Central Los Angeles to demand the release of an illegal alien woman detained by Immigration and Customs Enforcement (ICE). In a report about the demonstration at Incendiary News Service, a far-left, pro-illegal immigration blog, we see that the STPLA is calling for "militant escalations and defense," of their illegal alien communities, which they call "undocumented working-class immigrant communities," by "any means neccessary." They are also calling for the organization of "Unidades de Defensa Populares Revolucionarias (the People’s Revolutionary Defense Units)," to use "revolutionary violence," against those they deem as "enemies of the people," referring to ICE officials and law enforcement. They are also citing the term "revolutionary vengeance." According to the Incendiary News Service, which is clearly very sympathetic to the Antifa group, the STPLA believes "rallies or even militant and illegal protests alone won’t do anything. What is needed, they say, is a “sea of armed masses” organized to defend ourselves but most importantly organized to take power." Mao and other Communist leaders set out to reshape Chinese society. Industry came under state ownership and China's farmers began to be organised into collectives. All opposition was ruthlessly suppressed. The Chinese initially received significant help from the Soviet Union, but relations soon began to cool. In 1958, in an attempt to introduce a more 'Chinese' form of communism, Mao launched the 'Great Leap Forward'. This aimed at mass mobilisation of labour to improve agricultural and industrial production. The result, instead, was a massive decline in agricultural output, which, together with poor harvests, led to famine and the deaths of millions. The policy was abandoned and Mao's position weakened. In an attempt to re-assert his authority, Mao launched the 'Cultural Revolution' in 1966, aiming to purge the country of 'impure' elements and revive the revolutionary spirit. One-and-a-half million people died and much of the country's cultural heritage was destroyed. In September 1967, with many cities on the verge of anarchy, Mao sent in the army to restore order. That is what the far-left, progressive liberals, establishment media, and Antifa want for America. 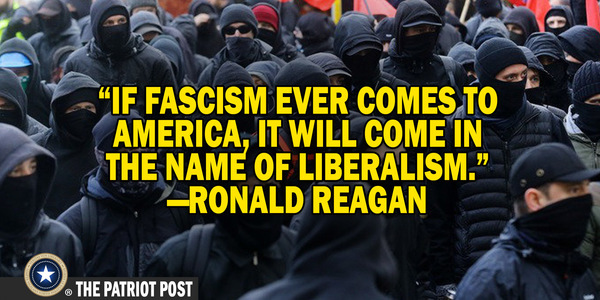 With the Democratic party lurching so far left an admitted Democratic socialist has been called "the future of our party" by the DNC chairman, Tom Perez, it is imperative for those opposed to socialism, communism and the fascist tactics of these Antifa groups to understand exactly what they want for America and that they are more than prepared to arm up, form into mobs to attack anyone they disagree with by labeling them "fascists," and destroy America. Most Antifa groups do not even have the word "Antifa" in their organizations' name, making it very difficult to be able to accurately account for how many members, collectively, they have, but with more and more of these so-called "anti-fascist" groups popping up, the numbers are rising, as is the violence and arrests at any event they decide to protest. 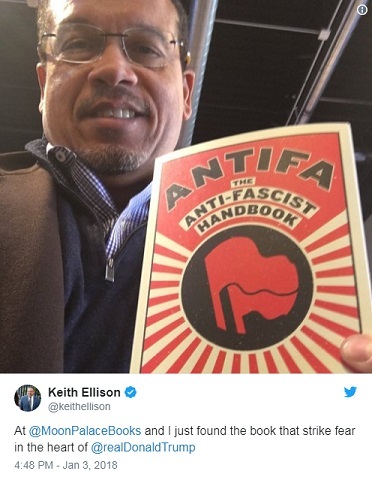 Anyone who doubts that the Democratic party has become the party of Antifa, only has to look at the DNC chairman's statement on the Democratic socialist being the "future" of the party, or the Deputy DNC chairman, Keith Ellision, proudly displaying an image of himself holding the a copy of “Antifa: The Anti-Fascist Handbook,” on Twitter, to understand the truth of the assertion.